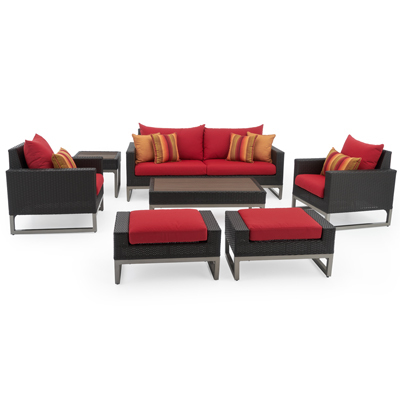 Our Milo set brings a refined look and deep comfort to outdoor entertaining. We've created this piece with the refinement and clean lines of modern design without sacrificing any functionality. 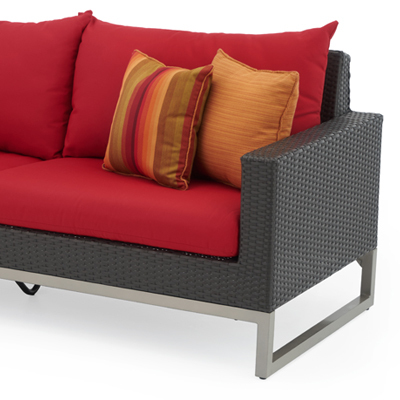 As durable as it is stylish, our powder-coated aluminum frames and weatherproof cushions make outdoor living practically maintenance free. 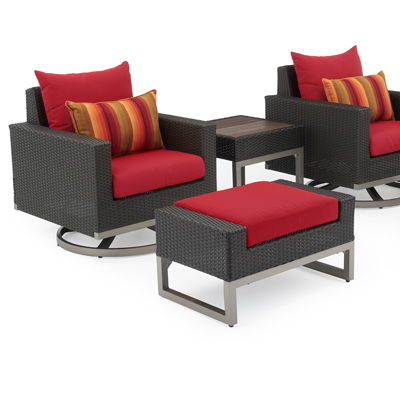 Relax with reliable comfort in a set with the style and construction to last a lifetime. 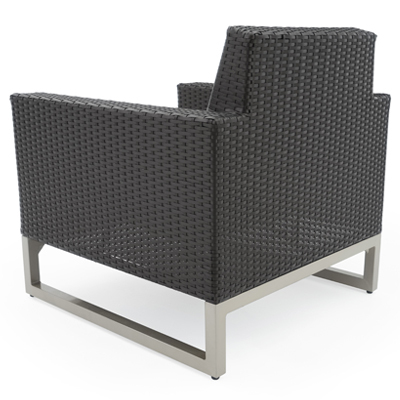 Set includes two motion club chairs with coordinated accent lumbar pillows, two club ottomans, and a side table. Cushions are covered in fade-resistant Sunbrella® fabric in designer textile, which is easily removable to clean or switch colors with our patented cushion cover system. Designed to coordinate with the pieces in the Milo Collection by RST Brands.